My guest for today's podcast Kathy Kennebroook the “Marketing Magic Lady”. I can't believe this is episode #26. You might remember that Kathy was in the spotlight for my “Successful Women in Real Estate Investing” series a couple of weeks ago. I am really happy to have her as my guest for today’s podcast. The topic this week is of course marketing and how to create marketing magic for your real estate investing business. Not only is Kathy is a mentor, a coach, and an author, but she is a marketing expert. 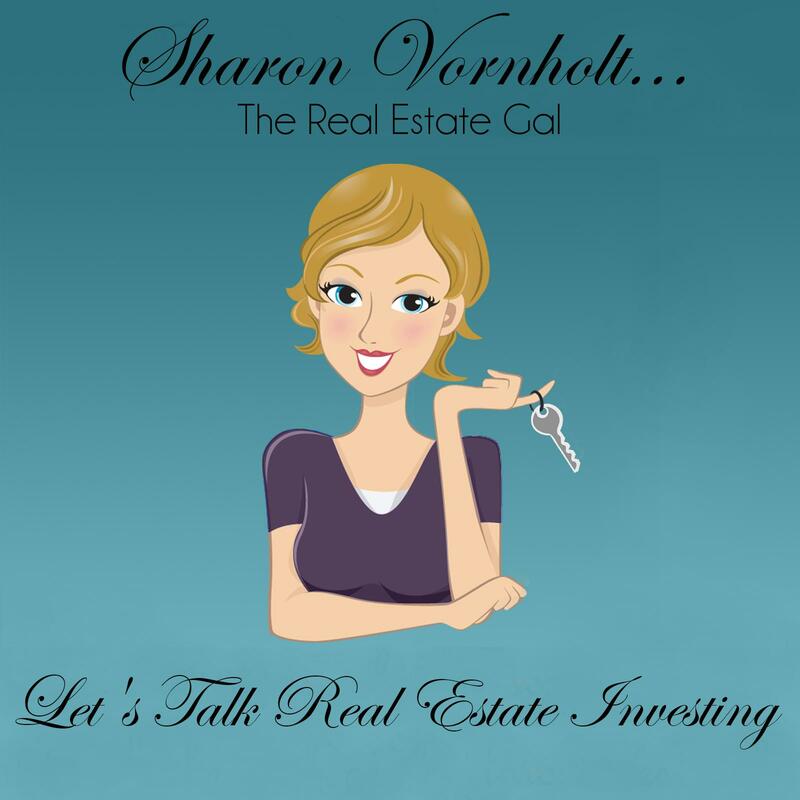 Along the way she has created a number of marketing products to help real estate investors find their own path to being a marketing superstar. Those of you that follow me know that I am passionate about marketing. We covered a whole lot of ground in this podcast so I have broken it into 2 parts. Be sure to listen all the way to the end, because she has a special offer just for you. This is just the tip of the iceberg. Kathy shared her expertise for over an hour, so be sure to have a pen and paper ready. Please leave us any comments or questions that you have on the blog, and we will get back with you. I love hearing from you! You Can Also Listen and Download from iTunes By ClickingHere. Please do us a huge favor and leave us a review over in iTunes. Don't forget to stop by Kathy's site “Marketing Magic Lady” and take advantage of that special offer and the bonuses she has just for my listeners. Don't forget to mention the promo code “Sharon” to get your 10% discount. Click Here to head over to her site….. If you missed Kathy's “Successful Women in Real Investing” post you can read that by Clicking Here. Kathy is one of the nation's leading experts at finding motivated sellers using many types of direct mail marketing. She isalso the mother of two; she holds a degree in accounting and co-authored the book Walking With the Wise Real Estate Investor which also includes real experts Donald Trump, Suze Orman and Ron LeGrand. Bob – she didn’t say. I think you have to buy her course to find out. This is some great information! Thanks for this podcast and all the great information you give out. Thanks for listening Jay. Have a great weekend. Hi. Interesting podcast. Thanks for the tips. I’m curious to know if Kathy’s program is different from the typical direct mail campaign using yellow letters or white letters. It seems like in the podcast, there was a brief mention of sellers providing her more information than normal. Does her letters pre-screen sellers? I also want to know if direct mail is appropriate for my situation. I would like to get into buy and hold investing. My plan is to save up for the 20% down payment (conventional mortgage) and buy a property each time I have enough. I can only buy 1-2 per year using this approach. Is direct mail overkill if I only need so many houses? It does seem like it’s very hard to find cashflowing properties in the MLS. Yes – Kathy has a very successful system which does include white letters where she gets them to “pre-screen themselves” by providing specific information. Direct mail used is to get those motivated sellers that aren’t listing their houses. There is much less competition. But to be successful at direct mail, you need to understand that it is an ongoing strategy (campaigns); not a one and done. It is by far my best source of leads and you can outsource it. You can also get much better deals in my opinion. You need to think about this a little differently; a little more creatively. Use direct mail to find GREAT deals – not just good deal and not just properties that will cash flow a little bit. From those direct mail leads, keep what you want for buy and hold then wholesale the rest for those big chunks of cash you need as down payments. Taking cash from wholesaling will also allow you to pay down those properties much faster. I have posts here on my site about wholesaling, and I did a podcast for BiggerPockets.com on wholesaling a while back which is also here here in my blog. Another thing you really should consider is my new group coaching program. We will be talking a lot about marketing.